Here at Sheri Griffith River Expeditions we are starting to gear down from the height of our 2013 season, just in time to start gearing up for the 2014 rafting season. We loved meeting new friends and re-connecting with old friends as we traversed the canyons we call home. We've already received reservations for the 2014 season, and it is starting to look like a great rafting seaon! As part of our "gearing up" for the 2014 season, we are offering a special September special on all of our rafting trips! If you've been following us for a few years, you know that we always offer our "Next Year's Dates at This Year's Rates" until October 31st, but this year we are offering a special incentive. If you make your reservation during the month of September and pay for your rafting trip in full, we will give you an additional 5% discount! This discount works in addition to our group discounts and our return guest discounts, so you could save a lot of extra money! 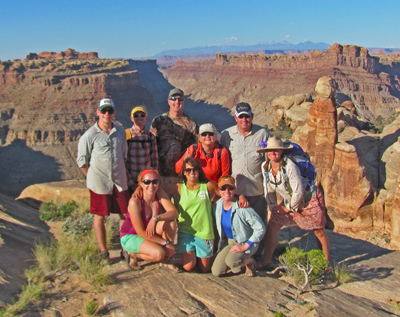 If you've ever wanted to see Cataract Canyon, the Yampa River, the Gates of Lodore or any of the other beautful canyons that we call home, this is the time to start planning! We offer all-inclusive rafting excursions, so no hidden rental fees and no extra transportation fees will be added on to your reservation.